Scientifically, earthworms are classified as Annelids. In Latin, 'Annelida' means 'little rings,' and this aptly describes their segmented bodies. By improving and enriching the quality of soil, earthworms play a very important role for the environment. They increase soil fertility, improve soil structure, and augment the soil's ability to hold water, helping many plants and animals to thrive. Earthworms can be primarily classified under three categories and are present today in most parts of the world. Scientific consensus is lacking in earthworm taxonomy. This began in the 1990s when there was a movement to break free from the classical system. What ensued was a lot of confusion about how to adequately follow the newly established guidelines. Earthworms are classified in the phylum Annelida. Generally earthworms fall under three categories -- anecic, endogeic and epigeic -- based on their habits. Anecic is Greek for "up from the Earth," or "out of the Earth." These earthworms dig permanent burrows deep in the mineral layers of the soil. They drag organic matter from the soil surface into these burrows for food. 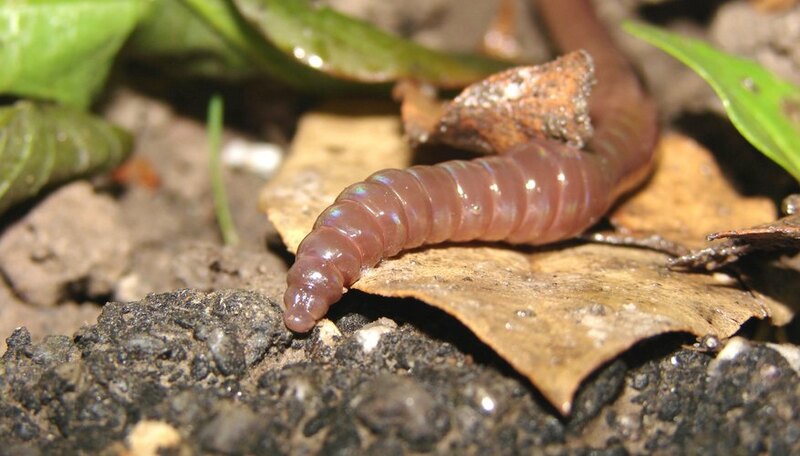 Once digested, the castings of these earthworms contain many vital nutrients that plants need and can be spotted on the soil surface, especially in grasslands. Anecic worms are commonly used as bait. 'Endogeic' worms build extensive burrows. Unlike Anecic worms, these burrows are temporary and horizontal. They feed on the organic matter in the soil and are rarely spotted unless there is heavy rainfall and they are washed to the soil surface. They often sport pale colors, such as grey, pale pink, green or blue. Epigeic earthworms are often spotted on the soil surface after a rain storm. They form no permanent burrows. They live and feed on decaying organic matter like leaf litter. They are often bright red or reddish brown and are not striped. Their common names include red worm, manure worm, brandling worm, red wiggler and compost worm.